The SportDOG TEK Series 1.0 GPS Tracking system gives you GPS tracking capabilities in one single compact handheld device. It's the perfect Tracking Trainer system for hunters who run hounds for hunting, have rabbit hunting beagles or any dogs used for upland birds. Not just for hunters,it can also be used by all dog owners. Consistent, correct use of this SportDOG TEK Series system enables you to track your dog (up to 12 dogs' when you buy extra collars - sold individually) from up to 7 miles. 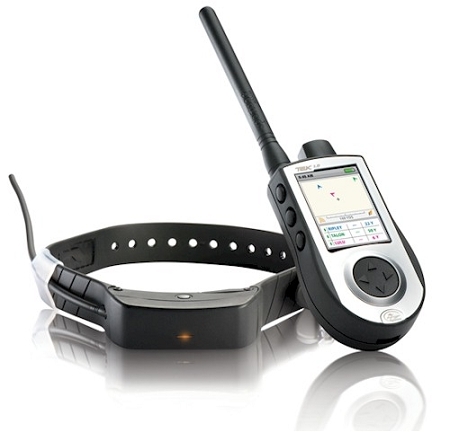 The Handheld Device receives your location from the built-in GPS antenna and receives location updates from the GPS antenna attached to the collar to track the location of your dog. The collar receiver features SportDOG Brand's DRYTEK® design, so it is waterproof and submersible up to 25 feet. The hand held unit is water-proof and submersible up to 5 feet.